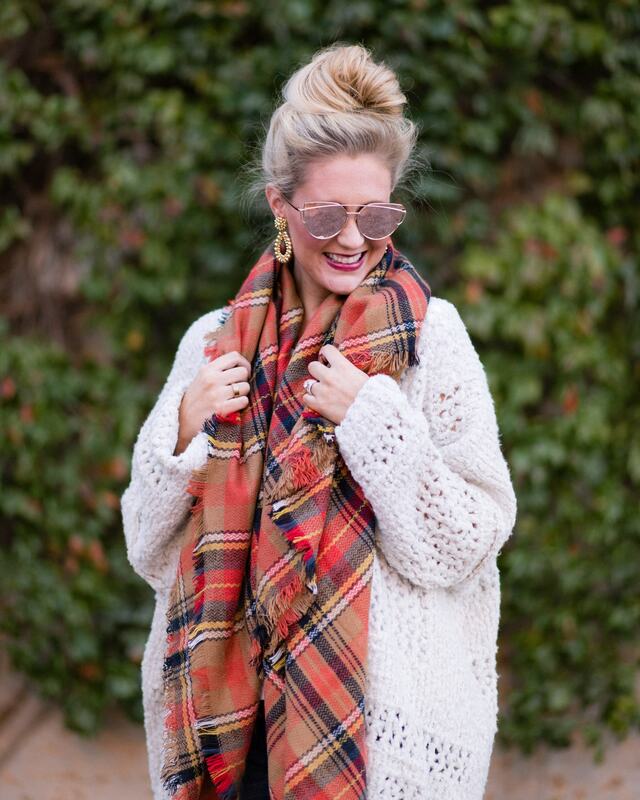 I loved breaking out my favorite Fall scarf and cozy sweater! This sweater from Free People at Nordstrom was definitely a splurg, but I purchased it with a gift card for my birthday! It is completely worth the price though! 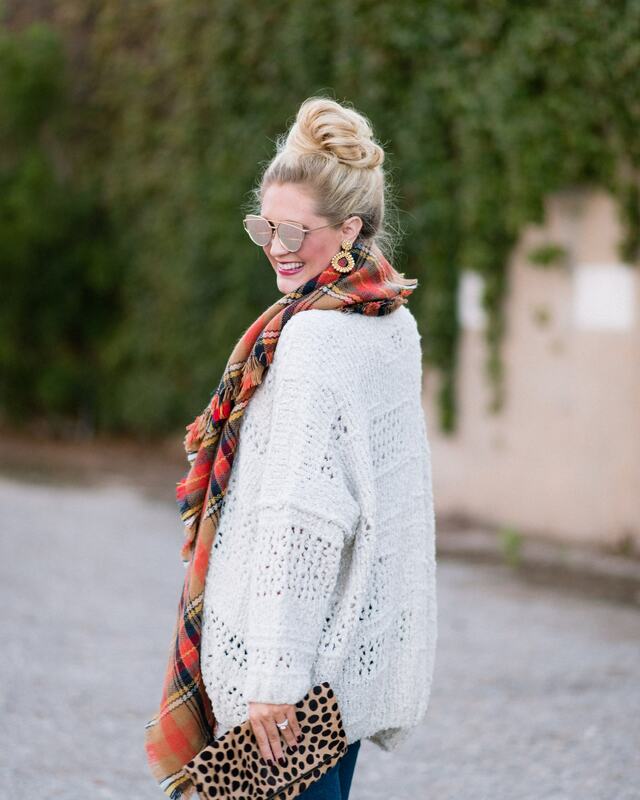 It’s so easy to throw on, and I also love pairing it with leggings or even PJ’s at night. It’s so cozy and will be perfect for this Winter too! It runs large, so if you are in between sizes, I would suggest sizing down. 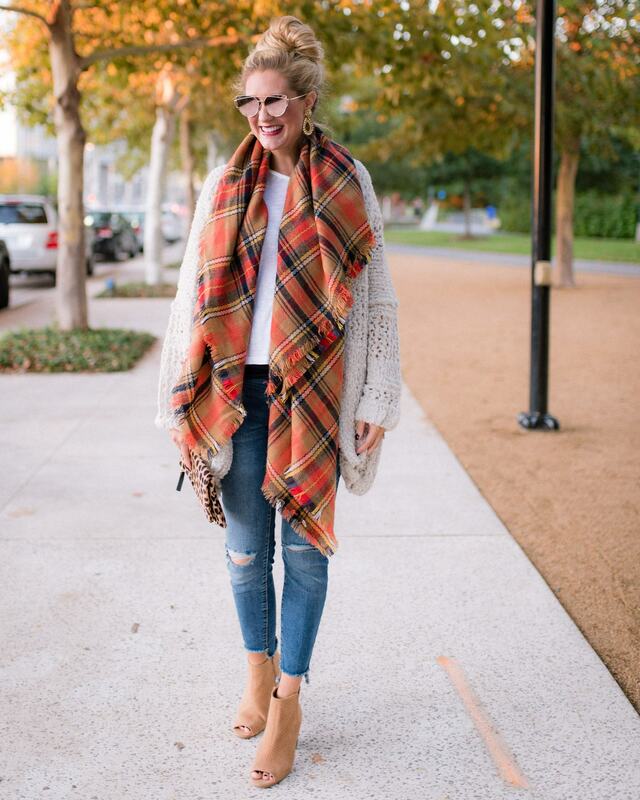 This blanket scarf was from the Nordstrom semi-annual sale last year, however I found an almost IDENTICAL and cheaper version on Amazon. The Amazon version is only $13.99 and comes in million different prints! 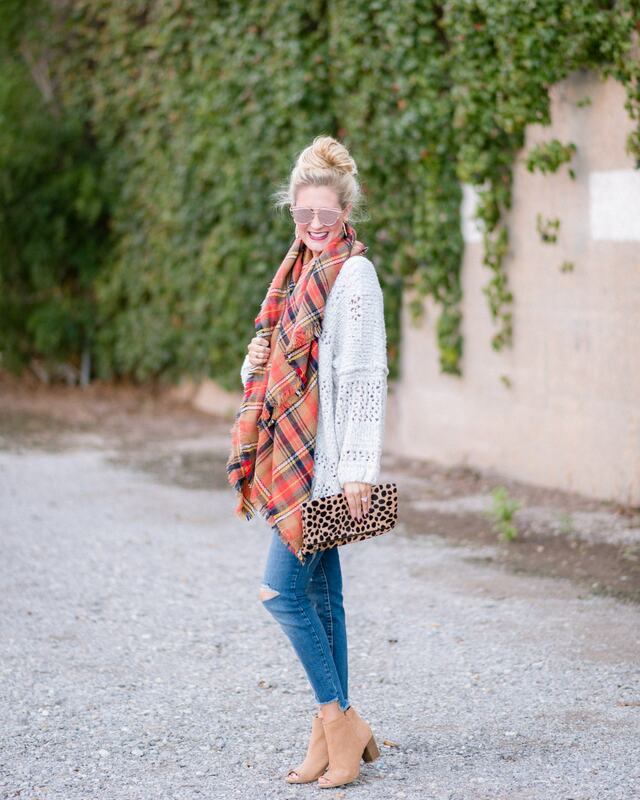 The distressed jeans I’m wearing in this picture are maternity. For anyone looking for maternity jeans, I’m absolutely loving the ones from H&M! I’ve really liked the full-panel versions because they don’t feel like they are falling off and are SO comfortable (especially after a big meal)! I am wearing my normal size in these jeans. Feel free to reach out to me with sizing questions or anything about maternity wear! 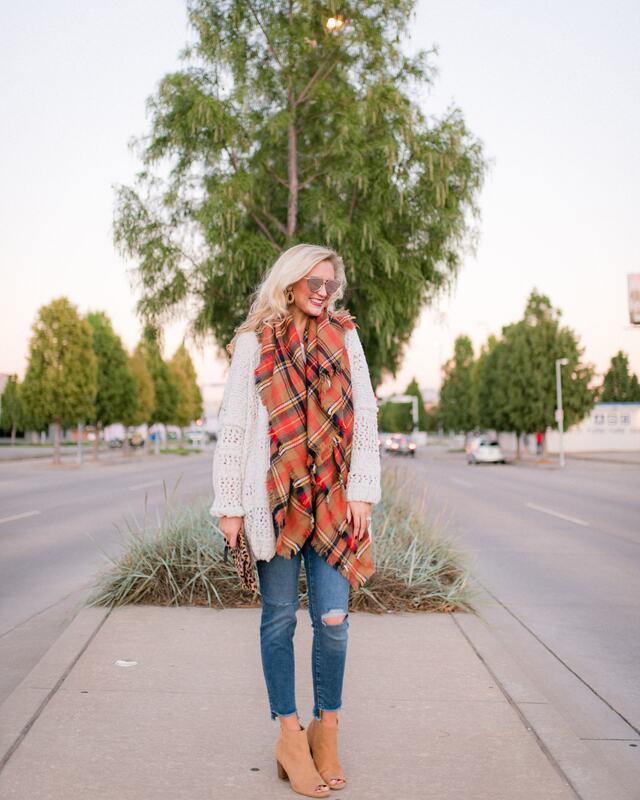 I’ve been on the search to find the cutest most affordable options!